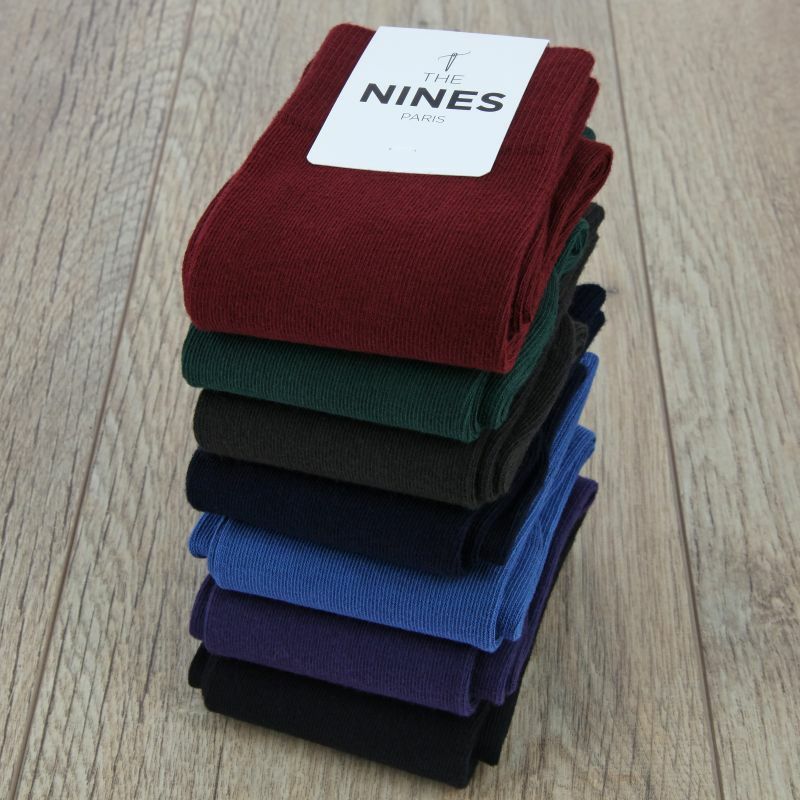 Lot of 7 pairs of combed cotton socks in burgandy, blue, navy blue, black, dark green, brown and dark purple colours. 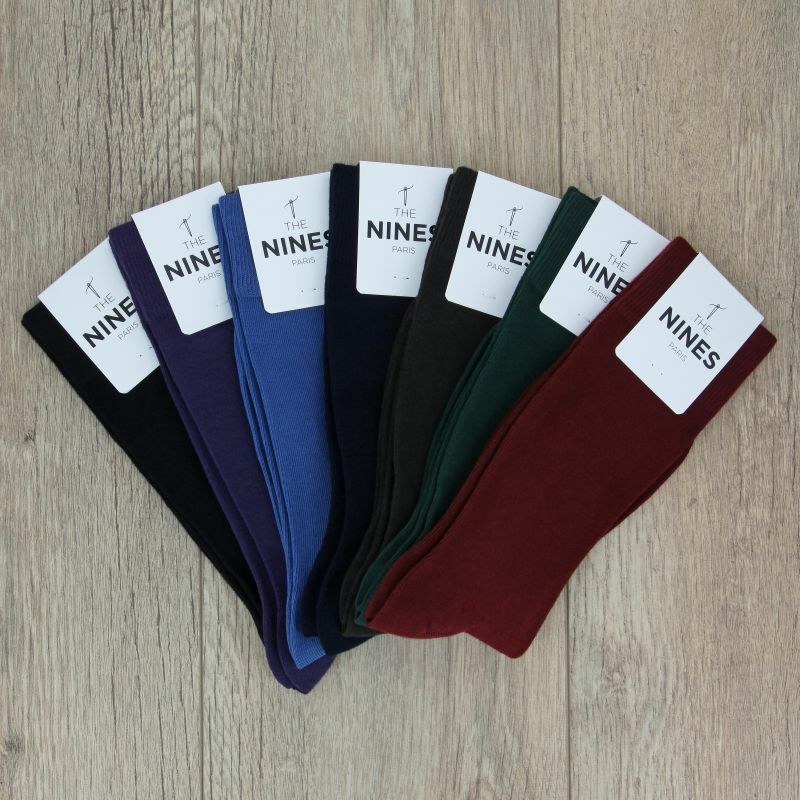 Made in Portugal using a composition of 80% natural cotton fibre, 18% polyamide and 2% elastane, these smooth, un-ribbed mid-calf socks are resistant to daily wear and tear and the toes are stitched by hand. 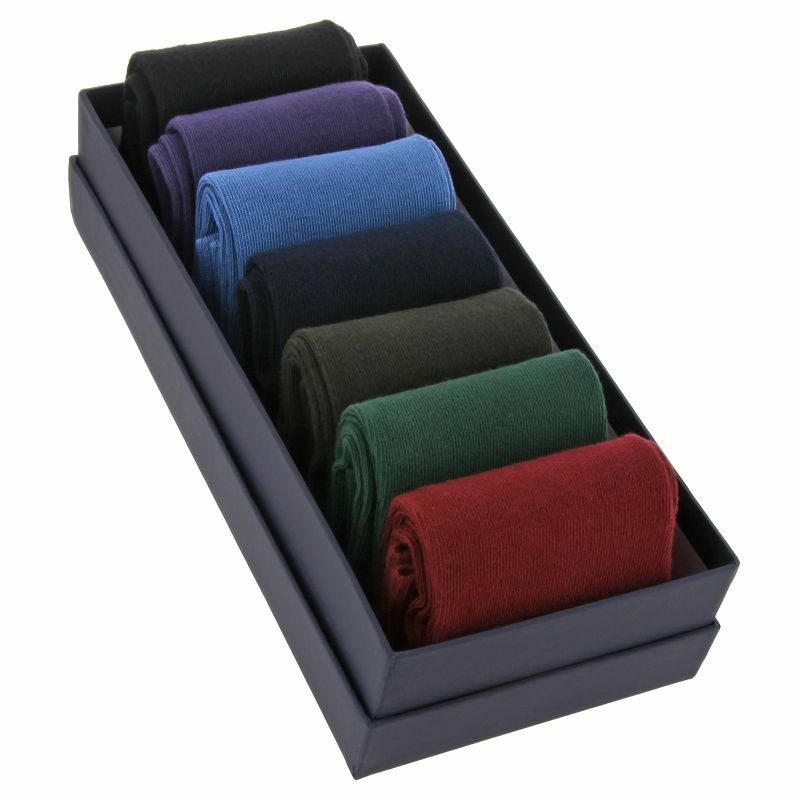 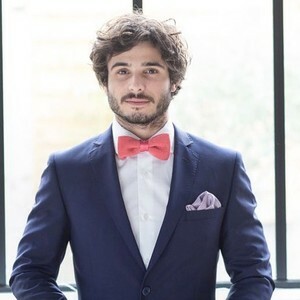 Change the colour of your socks depending on your mood thanks to this weekly sock chest and try a subtle hint of colour in order to elevate your outfit, with elegance. 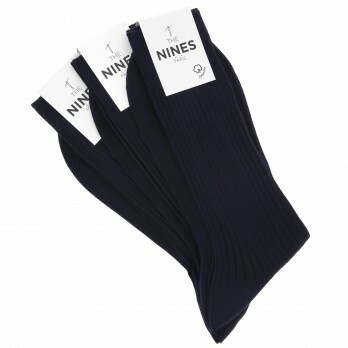 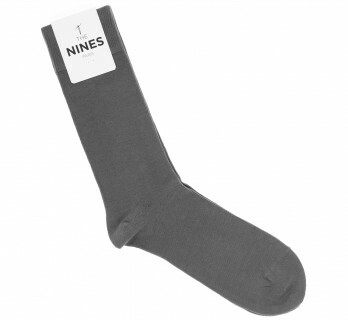 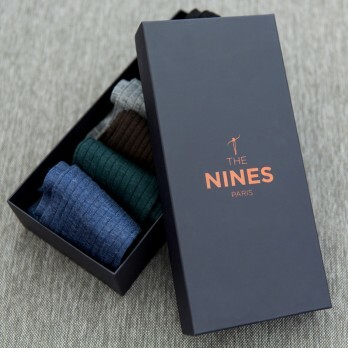 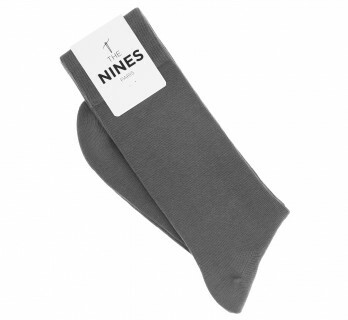 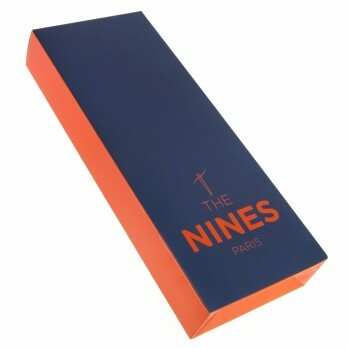 The socks come in a "The Nines" chest. 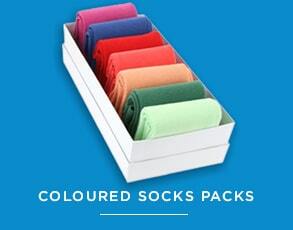 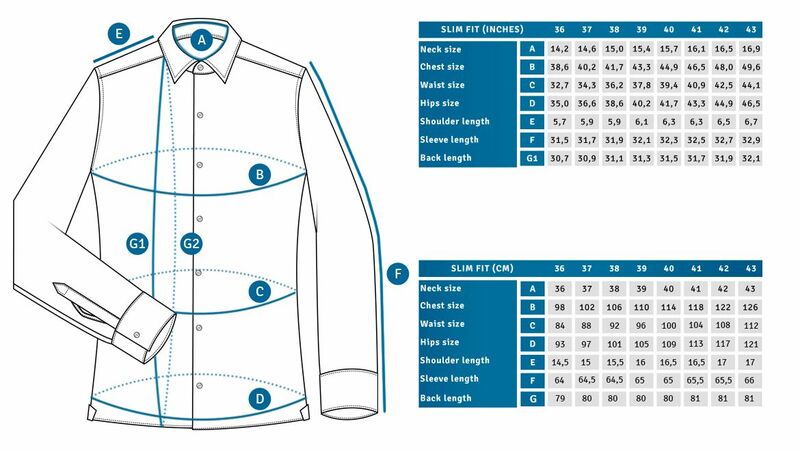 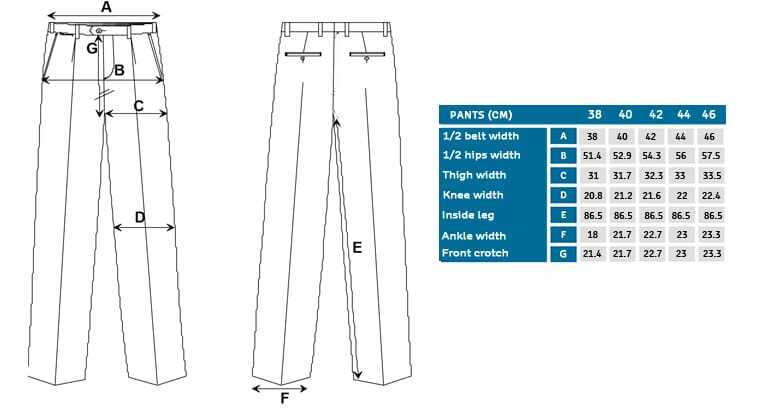 For greater resistance and a delicate feel, our socks are made from longer fibres than standard cotton.